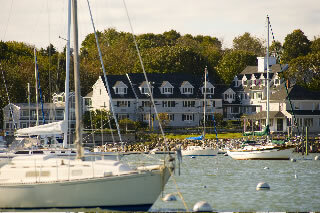 The Inn at Scituate Harbor features 29 spacious guest rooms all with views of the picturesque ocean harbor and wharf. Located in downtown Scituate, restaurants, shops, a movie theater and more are within steps of The Inn. Each morning enjoy the continental breakfast, take a dip in the indoor pool, spend your day on the golf course and end your day with a refreshing drink at our own pub or just relax on our deck and watch the sunlight fade over Scituate Harbor. The Inn at Scituate Harbor is granted special reservation privileges for Widow’s Walk. Call 781-545-5550 for room reservations, and you may request tee times up to four weeks in advance. The Cohasset Harbor Resort is granted special reservation privileges for Widow’s Walk. Call 781.383.6650 for room reservations, and you may request tee times up to four weeks in advance. The Clarion Hotel & Conference Center located on beautiful Nantasket Beach is granted special reservation privileges for Widow’s Walk. Call 781.925.4500 for room reservations, and you may request tee times up to four weeks in advance. The Radison Boston Hotel/South Shore in Rockland is granted special reservation privileges for Widow’s Walk. Call 781.871.0545 for room reservations, and you may request tee times up to four weeks in advance. The Boston Marriott Quincy is granted special reservation privileges for Widow’s Walk. Call the Quincy Marriott at 617.774.2071 for room reservations, and you may request tee times up to four weeks in advance.